+$Nail your brand typography choices with this helpful infographic. +$Branding is more than just a snappy slogan or clever logo – it's how customers connect with your service across all sorts of platforms. And designers who specialise in creating memorable brands have plenty of tricks up their sleeves to make people respond to a company in certain ways. +$We've already seen how colours can influence the ways people perceive a brand, thanks to+$this Useful Infographic+$that helps you pick the perfect palette. 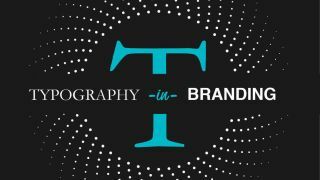 Now the new Typography in Branding infographic from cohesive brand creators Iconic Fox is here to show you how typography is a design decision that needs careful consideration. +$By breaking typography choices down into three main styles – namely serif, sans-serif and script – this infographic reveals how the different typefaces have been used by brands over the years. Each style is also introduced with a series of characteristics and popular associations to inform readers of how they’re best applied. 例如，+$serif Fonts+$are linked to tradition and reliability, so they’re well suited to print media brands, it says. +$On top of this, the infographic also takes us on a trip through time. Every typeface is split into key time periods that help to give some context as to why particular styles have produced certain associations. +$To use our old friend, serif typefaces, we see that the style can trace its roots all the way back to 1460 where it has a strong link to calligraphy. Perhaps this set the foundation for the typeface genre becoming the respectable style we feel it to be today? +$Explore the infographic in full below, and on the+$Iconic Fox Website+$. And thanks to plenty of style suggestions, there are lots of ideas to investigate on your journey to find or create the perfect typeface for your brand.